Belgrade Bed & Breakfast01263 822653work Bed & BreakfastA large friendly family home, guests are always given a complimentary drink on arrival. They can enjoy the outside sun at the front, or relax in the conservatory. Guests can enjoy a full cooked breakfast with our fresh eggs from our own chickens, or choose the lighter continental option. We cater for all dietary requirements. 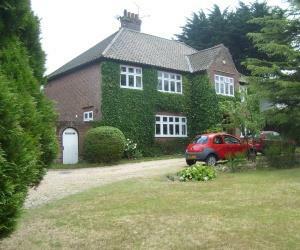 A large friendly family home, guests are always given a complimentary drink on arrival. They can enjoy the outside sun at the front, or relax in the conservatory. There is plenty of space for cars to be parked. Belgrade is also a very short walking distance from the town and guests have access to the conservatory at their leisure, and families are very welcome. So if you're that perfect to stay for a beach break in Sheringham then Belgrade is your perfect choice. The Splash leisure centre and Sheringham golf course is only a few minutes walk from house. Children welcome from any age.